A “Class of 1963” charter inductee, Leland “Hago” Harrington was a member of all three Reds Fontaine Cup championship teams and is widely regarded as one of the top players in the history of the Can-Am League. 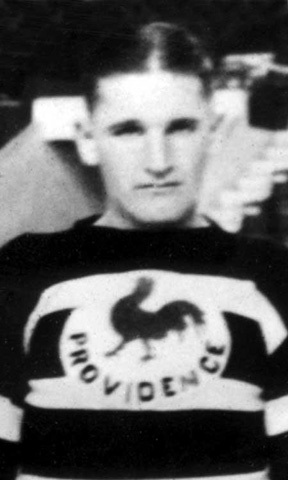 Hago played for eight years in Providence, beginning in 1928 through 1936. In the 1931-32 season, he led the league in assists. Overall, Harrington collected 203 points with 92 goals and 280 PIM in 299 games with the roosters. Adding in his time with the New Haven Eagles, he distinguished himself as an all-time leader with 246 points and 126 goals in the CAHL. Harrington was also a veteran of three NHL campaigns in 1925 and 1927 with the Bruins, and 1933 with Montreal. In total, he scored 12 points and 9 goals in 72 games.